This 8th-century-BC stone slab was recently discovered on the Anatolian-Syrian border by archaeologists, at Zincirli, the site of the ancient city of Sam’al. Written on the slab, in a Northwest Semitic language and Phoenician script, is a declaration ‘by the deceased’ that his soul resides in the slab, and that he should be fed in a ‘feast’ (ḥgg), along with Hadad and Shamash. This is fascinating — an institution of a kispum-like funerary ritual involving those two Levantine deities most associated with caring for the dead, Baal (Hadad) and Shamash/Shapash. Provision is made for both the deceased and the gods to be ritually fed together! Sam’al is a little further to the north of Ugarit, from which we get similar kispum-like funerary rituals such as those narrated in texts such as KTU 1.20-22, 1.161. For a biblical marzeaḥ, see Jer 16.5-8. The eighth-century dating establishes temporal continuity with the Cisjordan area, and some degree of continuity in funerary rites from Ugarit (1200 BC). It is reported that Kuttamuwa is not himself a royal figure, but seems instead to be a royal official. Yet, he is pictured with seat and footstool and with a king’s hat. Is this Kulamuwa, the successor of Panamuwa? Or was he a separate figure, perhaps a priest? A similar kispum-like ritual is described in KAI 214 (‘The Hadad Inscription’), where the descendant of Panamuwa is instructed to provide food and drink for Panamuwa, along with El, Hadad, Shamash and Rakib-El. I don’t think there is anything remarkable in the description of feeding Kuttamuwa’s “soul” — which is the focus of the News reports. It doesn’t even mean that Kuttamuwa is ‘disembodied’ — he may come for the food in another form from the underworld (perhaps as a bird). Cult of the Dead connected to Kaddish? – Mark S. Smith, “Mythology and Myth-making in Ugaritic and Israelite Literatures.” Pages 295-341 in George J. Brooke, Adrian H. W. Curtis and John F. Healey, eds. Ugarit and the Bible: Proceedings of the International Symposium on Ugarit and the Bible; Manchester, September 1992. Ugaritisch-Biblische Literatur (UBL), 11. 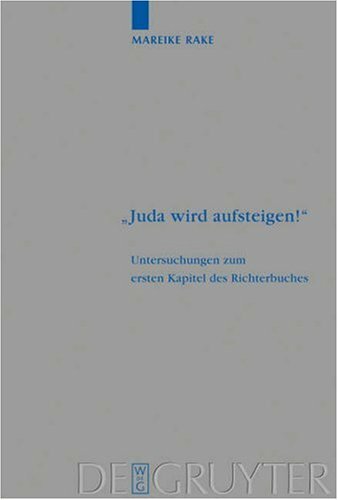 Münster: Ugarit-Verlag, 1994: 303. There seems to be an obvious historical connection between Jewish cult of the dead (broadly understood), celebrated by the first-born son for his deceased parents, and mourning Kaddish, also celebrated by the first-born son (preferably) for his deceased parents. It has apparently been ‘Yahwehized’ in the process, operating as a sanctification of the name of Yahweh rather than the name and posterity of the deceased parents. The very name suggests some connection with the cult of the dead (קדש). “Absolve your nation Israel which you redeemed (Deut 1.28). The Rabbis expounded in the Pesikta, “…this refers to the dead who can receive atonement through the charity of the living.” From this we learn that the dead derive benefit from charity which the living sanctify in their behalf… This also applies to one who recites Kaddish or any blessing publicly in the synagogue, as… in the story of R’ Akiva (R’ Bachya, Deut 21.6). I don’t know much about the origins of Kaddish, though. Has anybody written on this connection? Does anyone have a comment or suggestion? If there is a link or continuity between Kaddish and the earlier cult of the dead, it could shed light on both. Brian Schmidt reviews Lester Grabbe’s latest, a “prolegomena” to a history of Israel. (Is anything further possible, nowadays?) 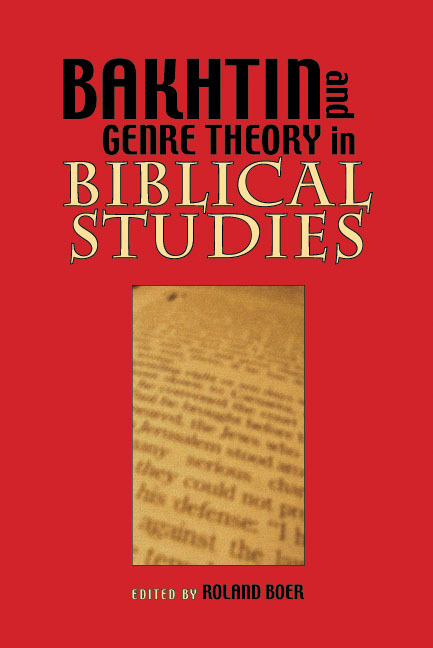 The Deveresque subtitle of Grabbe’s book is a good description of the content, and Grabbe examines a good number of the available methods: social science, archaeology, longue durée, ethnicity, ideology, new fundamentalist approaches, maximalists and minimalists, and the name-calling and shenanigans in what is the most heated topic in Hebrew Bible studies. Grabbe offers methodological principles for history writing. Reviewer Brian Schmidt makes some wise comments about the — at best ambiguous, probably simply wrong — commonplace that ‘archaeology cannot disprove the bible’. Schmidt’s comments on ‘Canaanite’ and ‘literacy’ are also valuable. From the author of The Textual Development of the Qumran Community Rule (1997), an examination of the various scrolls of Serekh ha-yachad, with discussion of their relation to CD also. The volume forms part of the ‘Companion to the Qumran Scrolls’ series. 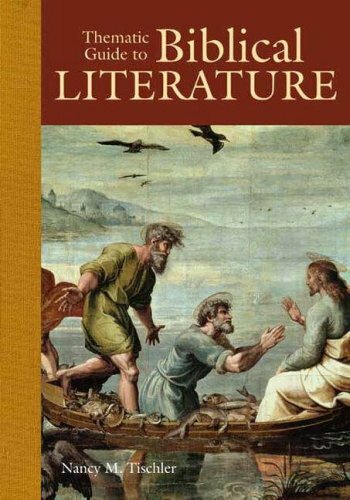 This looks like a handy guide to the use of biblical themes in Western literature. The reception of biblical themes is arranged topically: (1) Creation, (2) Earthly paradise, (3) Nature, (4) Animals and humans, (5) Temptation and Sin, (6) God’s Love, Human Response, (7) Friends and Family, (8) Love and Marriage, (9) The Hero, (10) Women as Heroes, (11) The journey of life, (12) Slavery and Freedom, (13) War, (14) Good people, (15) Justice, (16) Government and Politics, (17) Predestination and Free Will, (18) Truth, (19) Death and Afterlife, (20) Last Days. According to the reviewer, the book examines how different people have struggled with these broad questions. In confining itself to ‘Western’ literature, early Jewish and Rabbinic literature is not covered. Klaas Spronk provides a very good review of this book. Rake provides a historical-critical analysis of Judges 1-2, in a book based on her dissertation. She provides a “thorough survey” of theories of development, before offering her own radical reconstruction of the text, which allows her to reverse the majority opinion of influence — she concludes that Joshua is dependent on Judges 1-2, although the direction of influence is complex and uncertain. This book analyses the different Jezebel traditions in the Bible and its reception, and also attempts to retrace the development behind the stories. The papers derive from the Midwest Regional meetings of the American Oriental Society at Trinity International University (Deerfield, Illinois), in February 2005 — which was held to commemorate the 75th anniversay of the discovery of Ugarit (Ras Shamra). The first five essays deal with the Ugaritic texts. Mark Smith looks at various aspects of Ugaritic religion. Dennis Pardee looks at RIH 98/02 (discovered in 1998), a song to Attartu with parallels to Exod 15 and Judg 5. Nic Wyatt discusses the divinity of kings. Wayne Pitard discusses the monsters Anat fought in the Baal Myth. Pierre Bourdreuil looks at new texts from the House of Urtenu, including some new data on the rapi’uma/rephaim. The last three papers deal with archaeological or historical issues, including a survey of the evidence for the origins of the Arameans by K. Lawson Younger. Ugarit is about to hit the big screen — in the first film of the Jack Hunter series: The Lost Treasure of Ugarit. The trailer spells an unusual ‘Ugaritic’ hapax legomenon: ʿ-g-ṯ-ś-ǵ-h-ʾu-n-ṭ-ʾi-r , or ‘????? Hunter’. The so-called ‘Ugaritic’ is in fact nonsense. I wonder whether somebody (‘A’) managed to transliterate ‘Jack Hunter’ into Ugaritic cuneiform, but later on some ignorant Hollywood person (‘H’) came along and replaced some of the symbols with more visually interesting, yet incorrect and nonsensical, Ugaritic symbols? Jack Hunter (Ivan Sergei), an adventurous treasure seeker, goes to Syria after his mentor and father figure Professor Fredrick Shaffer (Sean Lawlor) is killed. Professor Frederick Shaffer believed that the people of Ugarit, a town in Syria that existed during the Pharoah’s reign, had buried a treasure before they were wiped out by the Pharoahs [sic]. Jack Hunter is one of the few archaeologists in the world who can interpret Ugarit writings [sic], however he never bought Frederick’s belief of a hidden treasure. Before he was killed, Frederick had discovered a clue that would prove his theory was true. We follow Jack to Syria where he meets Nadia Ramadan (Joanne Kelly) the Ministry of Archaeology for Syria. Nadia thinks Jack is only coming to Syria to steal their historical artifacts and sell them to the highest bidder. She and her co-worker Tariq Khaliff (Mario Bassill) accompany Jack Hunter on his quest to find who killed Professor Frederick. During their travels, Jack discovers that the treasure is in fact real. Jack, Nadia and Tariq are caught up in a chase thru Syria, Egypt and Turkey trying to find the lost Treasure of Ugarit before Albert Littman (Thure Riefenstein) gets it for himself and the Russian mafia. In the sixth tablet of the Ugaritic Baal Myth, Athirat and El discuss Baal’s replacement — because they think that Baal has died. Athirat suggests that Baal’s replacement should be ydˁ ylḥn (KTU 1.6 i 48). 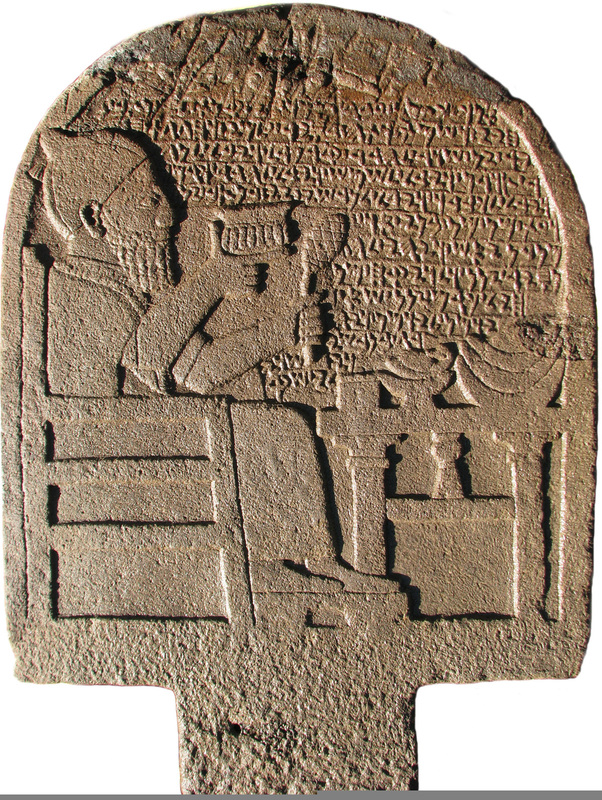 Ugaritic scholar Baruch Margalit translates the phrase ydˁ ylḥn as a divine name or divine epithet. I am quite sure I have got entirely the wrong image in my head. According to Margalit’s interpretation, El didn’t think this moisturizing god was up to the job, so dismissed Athirat’s suggestion out of hand. Could this be evidence of homophobia in the Ugaritic pantheon? It sounds like a clear case of divine discrimination to me. And it’s notable that “He-Who-Knows-How-To-Accessorize” didn’t even get nominated!